We are very excited to welcome students of all ages to join our Chen Style – Barrhaven Taichi classes, offered at the Walter Baker Sports Centre on Sunday afternoons. 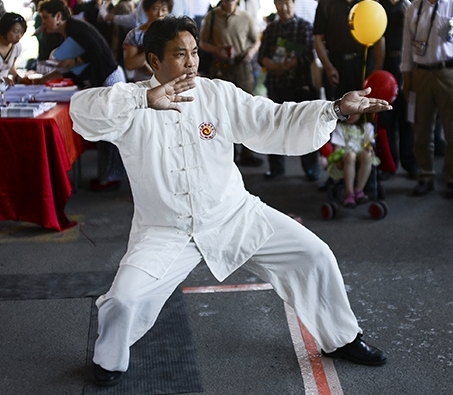 Tai Chi has been proven to have many health benefits whether you are young or old. It is a good way to keep fit and stay active without too much strain on the joints. What is Chen Style? The creator of Chen Style was a retired army general, Chen Wanting who utilised military training as part of his basis to create Tai Chi. In the early days, Chen Style Tai Chi practitioners were well-known martial artists, army generals, military trainers, etc. So the style’s outward appearance is clearly very martial arts orientated (see History of Tai Chi for more details). Chen Style movements are more obviously applicable to self-defence. There are fast and slow movements intermixed with softness and hardness complimenting each other. There is much emphasis on internal power and spiral force.